March 8 is International Women’s Day, a day to recognize the social, economic and political labor that women contribute to the world across all racial, cultural or religious differences. 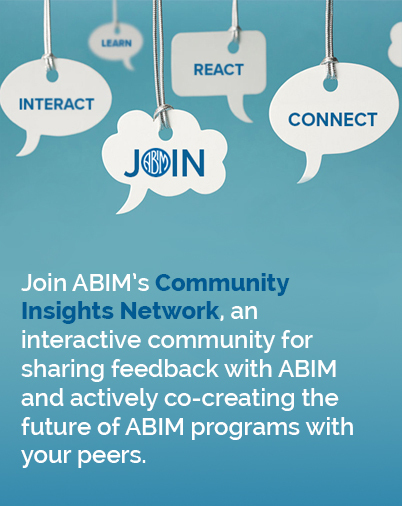 ABIM would like to honor the many contributions that women physicians continue to make to the medical community for the benefit of society at large. Share your own story on Facebook and Twitter using #InternationalWomensDay. 1849: Dr. Elizabeth Blackwell becomes the first woman in the U.S. to earn a medical degree. Through much struggle, Dr. Elizabeth Blackwell became the first woman in America to earn a medical degree after graduating from New York’s Geneva Medical College, in 1849. Due to poverty and other hardships, she witnessed and endured many injustices in her life. When the American Civil war broke out, she and her sister joined in nursing efforts for the North as she was completely averse to slavery and even vowed to leave the U.S. if the North compromised on the issue. In order to offer a practical solution for women rejected from internships elsewhere, she established the New York Infirmary in 1857. She also published several important books on the issue of women in medicine, including Medicine as a Profession for Women in 1860 and Address on the Medical Education of Women in 1864. 1885: Drs. Anandibai Joshi, Keiko Okami and Sabat Islambouli among the first licensed female physicians in their respective countries: India, Japan and Syria. 1888: Caroline Healey Dall writes a biography for Dr. Joshi. 1992: Dr. Joshi’s life story becomes the basis for a 1992 novel and subsequent award-winning play in India. 2010s: The image of three young female doctors attending the Women’s Medical College of Pennsylvania, snapped at a dean’s reception in 1885, goes viral. 1968: Dr. Selma Dritz began her career in public health at San Francisco’s Bureau of Communicable Disease Control. 1981: Dr. Dritz becomes one of the first people to postulate that AIDS was a sexually transmitted disease. 1982: She relays the first clear data to the Center for Disease Control and Prevention (CDC) about what would become the AIDS epidemic. Dr. Selma Dritz was a physician and epidemiologist who is considered a hero in the early fight against AIDS for her role in identifying the epidemic during the first outbreaks, while it was still stigmatized in the predominantly gay communities of southern California. Dr. Dritz was born in Chicago, earned her medical degree at the University of Illinois and her master’s degree in public health at the University of Californa, Berkeley’s School of Public Health in 1967. She began her career in public health after being hired as assistant director of the Bureau of Communicable Disease Control in San Francisco in 1968, where she quickly became the go-to person for outbreaks of food poisoning, hepatitis and dysentery. In 1981, she became aware of a strange and virulent form of pneumonia as well as an unusual skin cancer known as Kaposi’s sarcoma that was sweeping through the city’s gay population. It was because of her grit and compassion that her patients trusted her, and she became an invaluable source for information to the CDC about how this disease was spread. She rejected the derogatory terms used for the disease until the official term—Acquired Immune Deficiency Syndrome—was created. 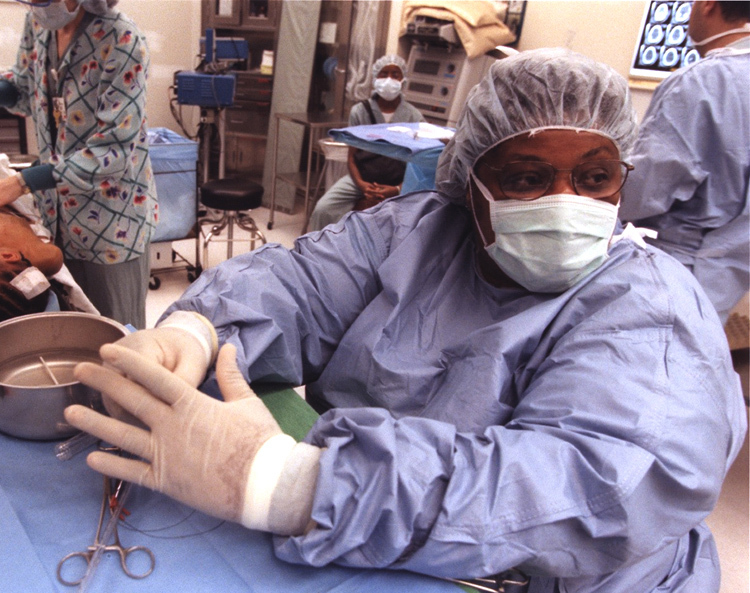 1981: Dr. Alexa Canady becomes the first woman and first black neurosurgeon in the U.S.
1984: Dr. Canady becomes the first black woman certified by the American Board of Neurological Surgery. 1987: She becomes Chief of Neurosurgery at the Children’s Hospital of Michigan.